Trekking challenges are extremely popular, and a fantastic way to raise money for a charity close to your heart. Once you have decided to take on such a challenge, it’s important to make sure you are fully prepared and are the fittest version of you. It’s never too early to start training for a trekking challenge. In fact, the earlier the better! It’s important to start small and gradually increase your training over time. This will help to avoid injury and will make sure you are fully prepared for the challenge ahead. The best way to train for a trekking challenge? Get out there and walk as much as possible! This may sound obvious, but the best way to prepare your body for a trekking challenge is to ensure your body is ‘Trek Fit’. Start with short, slow walks and then gradually build up the distance that you walk. As you get fitter you can then increase the difficulty and include back-to-back walking days as part of your training. If you’re looking for that extra bit of motivation, then join a walking group and make some new friends in the process! Fit your training into your lifestyle – walk to work where possible and always take the stairs! Include resistance training in your workouts to increase the strength of your leg muscles. Great exercises for trekking include squats, lunges and calf raises. Make sure you always warm up and cool down before taking part in any strength training programme, and always seek the advice of your gym instructor. If you’re not a member of a gym, then body weight exercises at home or in the local park are just as beneficial! Aerobic training is a great form of exercise to prepare yourself for your upcoming trek. This involves activities such as running, cycling and swimming. Make your training enjoyable, and take part in activities that you enjoy such as Zumba or Aerobics. Get your friends or family involved with group running or swimming sessions – then it will feel less like a chore and you will be more likely to stick at it. 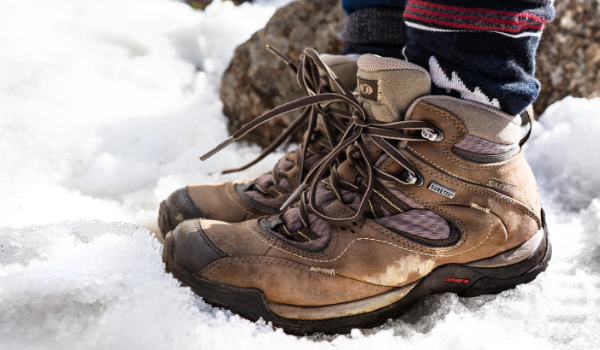 Your feet are the most important part of your body whilst trekking – therefore it’s important to look after them! Invest in some good quality walking boots that have great ankle support, fit well and have been broken in. Accompany them with some good quality walking socks to avoid getting blisters. A wool or wool-nylon blend are recommended to keep those feet well looked after! This is one of our most important tips! 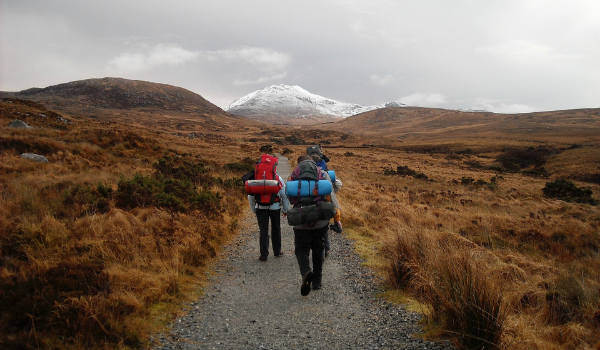 Make sure that you train for a trekking challenge whilst wearing and carrying your gear. This includes footwear, clothing and carrying a loaded backpack. You will be carrying essential kit in your bag including waterproofs, water and snacks – so it’s important that you get used to the weight and feel of the backpack. It might even be worth training with extra weight in your backpack, so the challenge itself feels easier. 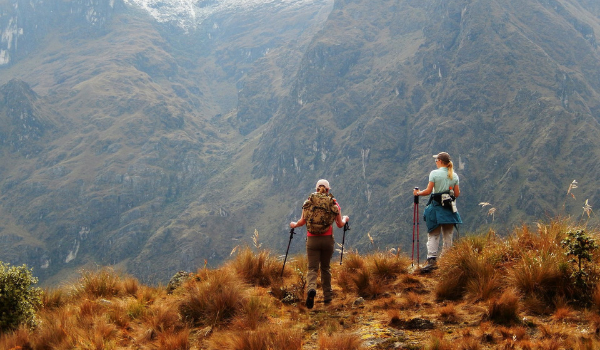 If you plan to use walking poles on your trekking challenge, then make sure you also incorporate these into your training walks. By the time it gets to your trek, you want to feel 100% confident with all of your trekking gear. Make sure your training replicates the environment you will be trekking on in your challenge. It is highly unlikely that you will be trekking along flat, smooth paths for the duration of your trek. 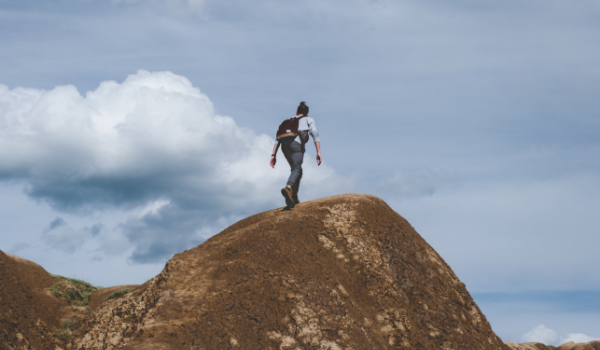 Therefore, make sure you are training on hills, rocky paths and scree – whatever terrain your challenge may bring. This will help to prepare your feet and ankles for the adventure ahead. Last but not least – it’s important that you are fuelled and hydrated for the day itself and also for when you train for a trekking challenge. Taking on a trek of any distance will increase your energy requirements, and it’s important that these are met in order to reduce fatigue and keep your energy levels high! Small, frequent meals and snacks during your trek are key. Make sure you have tried everything (including energy gels) during your training before having them on the challenge itself. Always start the day with a healthy breakfast and keep hydrated throughout. Remember, if you feel thirsty, that means you are already dehydrated. Ensure you drink plenty before, during and after – little and often is the key. The fitter you are before your trek, the better and the more enjoyable the trek will be! Check out our TrekFest trekking challenges HERE.